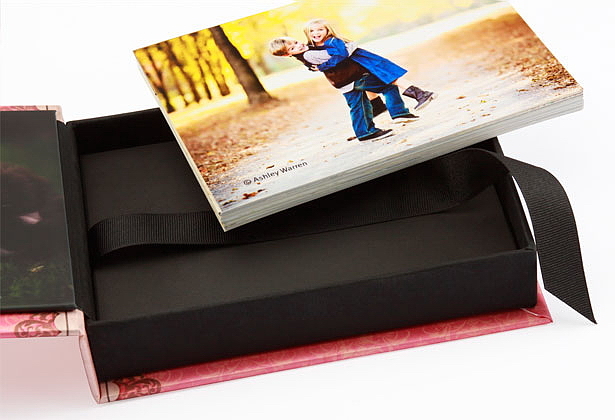 Present printed Books, Albums, or photographic prints mounted on black styrene in a customized Image Box. Image Boxes for 4x6 prints are available in three depths, 5x7 prints in two depths, and can be ordered with a vertical or horizontal opening. The smaller depth holds approximately 100 prints and larger box holds approximately 250 prints. The additional 4x6 depth can hold approximately 400 prints, or choose a wider box holds approximately 800 prints in two stacks! 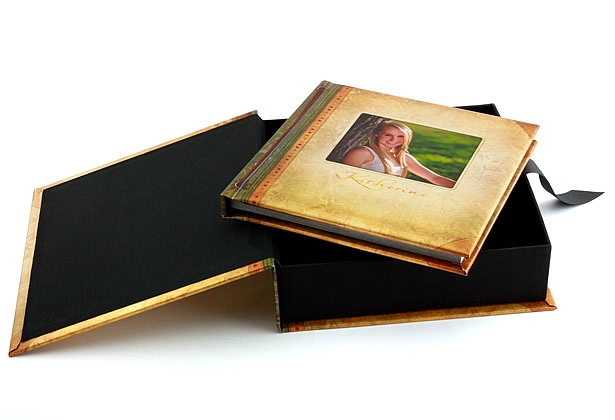 Image Boxes for your printed Books or Albums are available in 6x6, 8x8, 10x10, and 12x12 sizes. Risers are also available for all Image Boxes for $3, except for the 6x8 size that hold 800 prints. Risers fit in the bottom of the box to hold a lower amount of prints. Include a riser in your 4x6 box to hold only 50, 150, or 300 proofs; in a 5x7 box to fit 50 or 150 prints; and in all Album Image Boxes to hold 15 spread Albums. 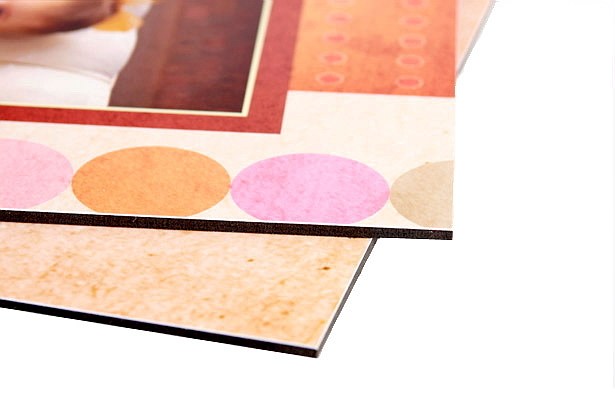 You can also include a CD/DVD insert in the bottom of an Image Box in all sizes except 4x6. DVD inserts are $3, or order a riser and DVD insert together for $5. Photographic prints mounted on black styrene can be ordered with any Image Box size. 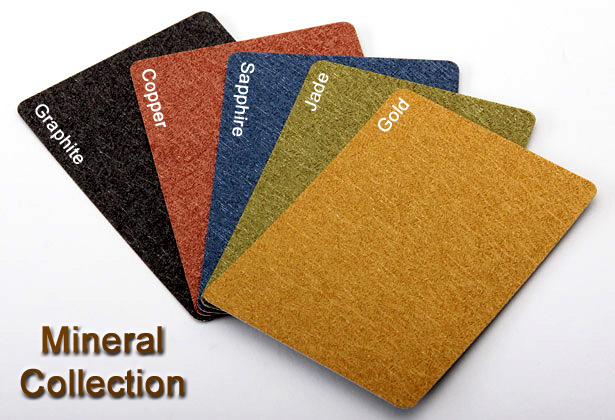 Texture and lustre coating are available, even mix lustre and metallic paper types in one order. Depending upon the depth of the Image Box ordered, 4x6 Image Boxes can hold 10, 25, 40, or 80 mounted 4x6 prints or 40-6x8 mounted prints. The 5x7 boxes hold 10 to 25 mounted 5x7’s and the 6x6, 8x8, 10x10, and 12x12 boxes can each hold up to 20 mounted prints on black styrene. Display and store your prints, Books, or Albums in a customized Image Box. Our custom photo cover is printed on Lustre or Metallic photographic paper allowing you to customize the cover, spine and back. 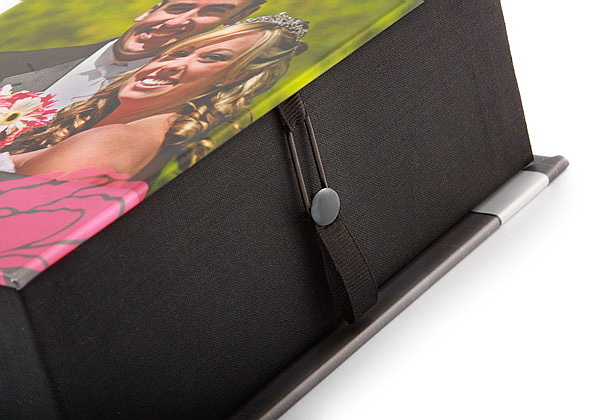 Inside of Image Boxes are finished with a black ribbon for easy removal of your proofs or albums. 4x6 Image Boxes come in 3 depths. 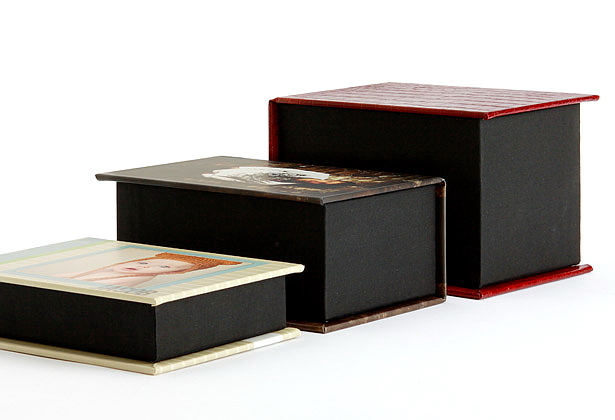 5x7 Image Boxes come in 2 depths. 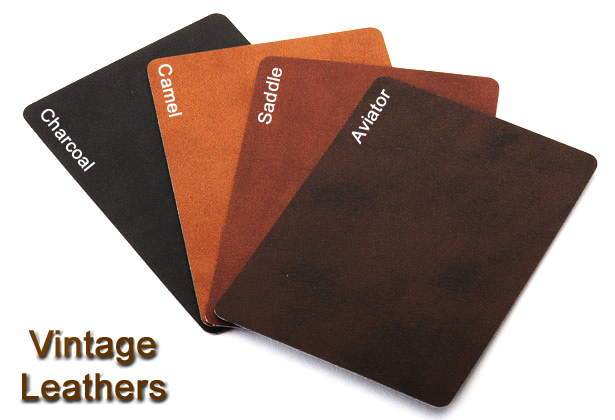 Store Albums in a customized Image Box available for 6x6, 8x8, 10x10 and 12x12 sizes. Closures for Image Boxes are optional, an elastic loop and screw post ensure your box stays closed. 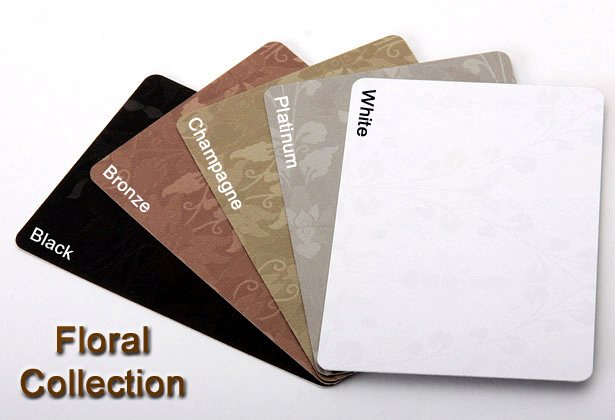 Optional image panel inside the cover can be ordered with or without a closure. 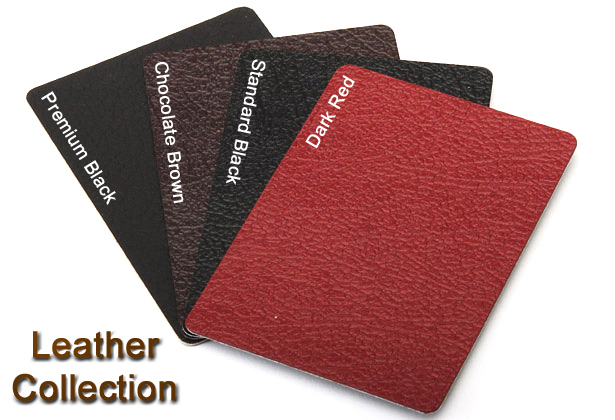 Black fabric panel (inside the cover) with closure. Prints mounted on Black Styrene are available to order with Image Boxes. Close-up of the Black Styrene. Risers fit in the bottom of Image Boxes to hold fewer prints or smaller length Albums. Add a DVD Insert to store a disk in the bottom of an Image Box. A Riser and DVD Insert can be ordered together. 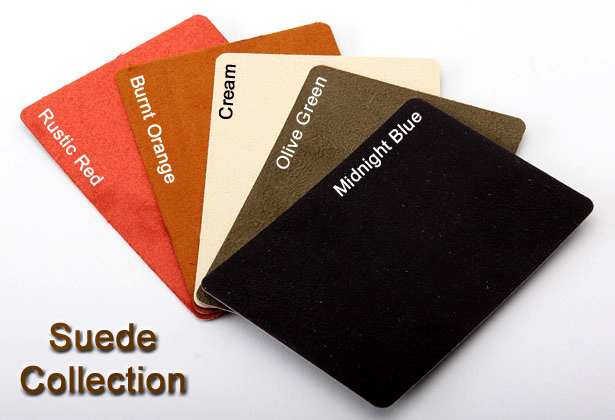 Choose from 33 different cover material options in addition to our custom photo covers. Q. What are the dimensions of the inside of the image boxes? A. A 4x6 Image Box is 4.25x6.5. The 5x7 Image Boxes are 5.25x7.5. Shallow boxes are 1.25” deep and hold approximately 100 prints. 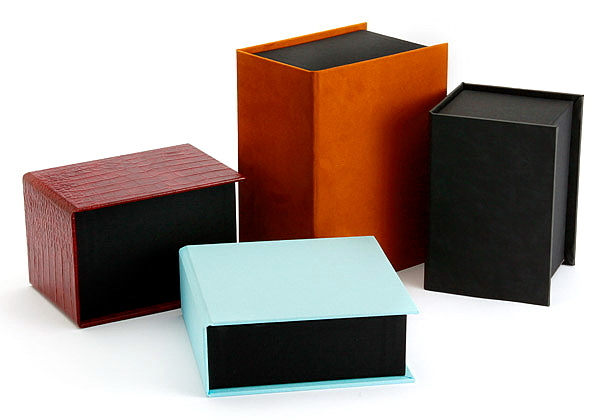 Deep boxes are 2.75” deep and hold approximately 250 prints. The 8x8 Image Box is 8.75x8.75x2.25 inside. A custom photo cover, printed on lustre or metallic photographic paper with a matte laminate, is wrapped around the Image Box allowing you to customize the cover, spine, and back. 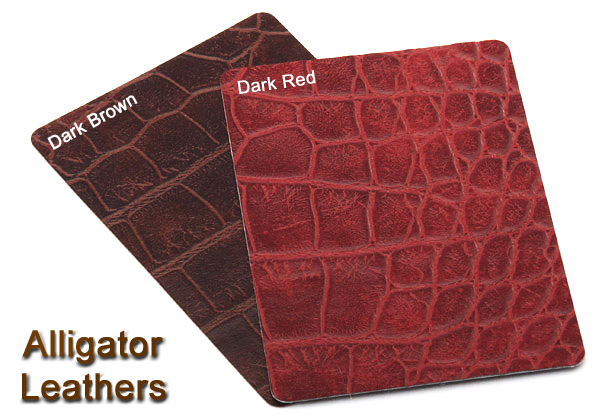 Additional cover options include a variety of fabrics, leathers, and suedes. Select our closure option for Image Boxes with a black elastic latch that stretches around a black screw post on the side of the box. 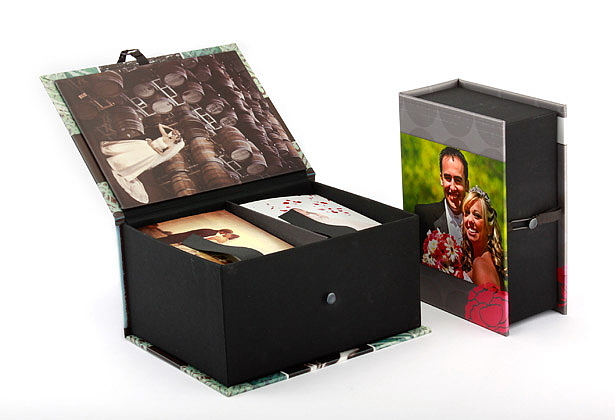 Complete your Image Box with an optional inside panel. Wrap the panel in your choice of black fabric or a photo panel that gives you one more place to customize the box with imagery. 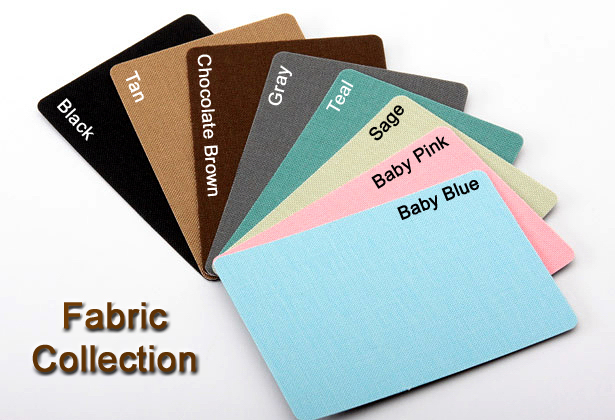 The inside panel, either black fabric or photo panel, is required when a closure is ordered, but just the inside photo panel can also be ordered as an option without the closure. 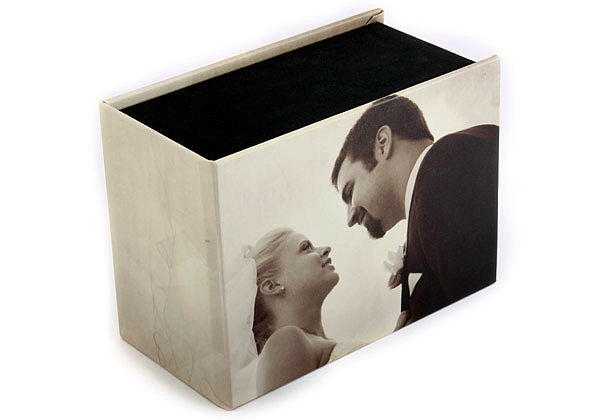 Image Boxes provide a personable and upscale option for you to display and store your prints, book, and albums. Image Boxes can be ordered with no minimum quantity, even mix and match designs in one order!